This dictionary has the words but is horrible at providing the meaning. For example, for kicks, I typed the word “pet”. All I found was that this is a verb, and I meant “to caress with the hand”. So is “pet” not an animal kept as a companion? I abhor this dictionary. What a rip-off!!! Besides winning at Scrabble, I would like to improve my vocabulary. However, words are often defined by the same word you are asking about. This is particularly true when the word is a variation on another word and the original definition is never given. This is frustrating. Other times, definitions are simplistic and inane. 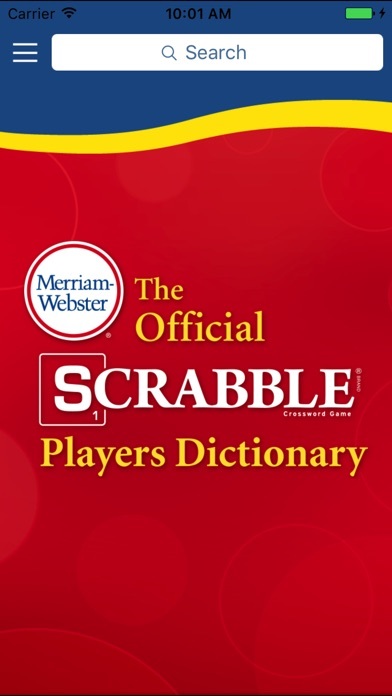 Overall, I wish the “official” scrabble dictionary was a bit more comprehensive/sophisticated. I cannot load an updated Scrabble app on my iPad mini. I have three of them in n right now. The one I had lost the “best word” Character. I deleted that after four years and cannot reload it. No game has current word list. No viable help from EA. I’m sick about this software! 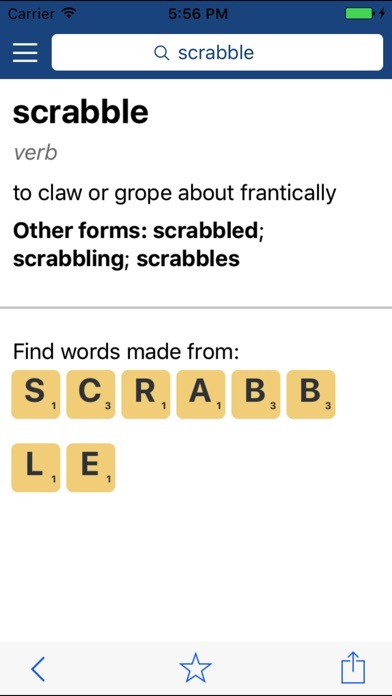 I thought this was a whole dictionary of scrabble words that I could look at and study but it’s more of a cheat. Wasted money. This is a nice app but definitely needs to be updated for larger screen iPhones. App content looks unusually large like scaled up iPhone apps on an iPad. Cannot use it with the bad display. Very uncomfortable. Deleted it already and I don’t know why I cannot have my refund. It’s waste of money, don’t recommend it. I'll miss this app if it stops working when I upgrade in a few days. And rating will go to 0 stars.